(5.-20.2.2015) - three times round-robin. The third part and few more games left unfinished due to unexpectedly closed school since 16th Febuary. Jan quit playing after first part (should play one more game with Dusan), the rest of his games forfeited. There are 12-14 leagues in the academy with usually 6 people in one group. Zhong He Cup - professional big cycle. Many kids out. Only 7-8 leagues. The last small cycle, Chinese New Year holidays (the whole February) soon. Many kids (mainly the weaker ones) already out. Only 7 leagues. One game missed due to WeiqiTV show. Eric participates for 2 months in the training. How to understand the table: Pavol started in 2nd league and finished with 0:5. Fell to 3rd league and second series played 2:4. Lukas started in 6th when came from KPMC. (2.1.2015 - 6.1.2015) Sponsored professional big cycle by our academy. 9 rounds. 90 participants. Andrij plays too thanks to his great result in the 4th big cycle. Besides him only six other amateur students play. Famous professionals like Mi Yuting (#2-3 in chinese pro rating list), Fan Yunruo, Liao Xingwen (both about #20), An Dongxu, Xie Erhao, Huang Yunsong, Li Kang (all about #40), Yu Zhiying (Chinese Female #1) or Wang Yuanjun (Taiwanese #1) also play. Baolong 赵宝龙 50 4 58-60. Ali 阿 里 32 2 87. Andrij 安德鲁 42 2 83. Pavol 帕沃尔 78 1 88. 3rd round: Andrij defeated Yuan Tingyu (female 1-pro) by 3,5. 4th round: Pavol defeated Ali by resignation. 5th round: Ali defeated Gao Xing (female 2-pro) by resignation. 6th round: Andrij defeated Zhang Zihan (female 1-pro) by resignation. 9th round: Ali defeated Wang Pan (female 1-pro) by resignation. 2nd round: Li Xuanhao 5-pro - Ali Jabarin 1-pro 1:0 (B+R). Li was on 19-th place in chinese pro rating list in November 2014. Two young man from the training centre on the photo: second from the left is Xu Jiaowei (aka Chinese Lee Changho) and second second from the right is Liu Qiu (aka Best kid). Both are usually in the 1st league. In the middle stand two famous amateurs - Wang Chen and Ma Tianfeng. 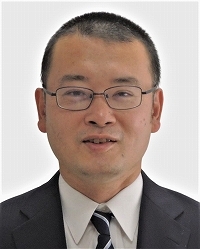 Pavol (帕沃尔) + + + + + + + + . 8 1. Ali (阿 里) + + + + + . + + . 7 2. Andrij (安德鲁) + + + . + . + + + 7 4. Jan (杨 扬) . + + . + + + . + 6 8. Lukas (卢卡斯) . + + + + + . . + 6 11. Dusan (杜 桑) + . + . + . + + . 5 16. 2nd round: Andrij defeated Teng Boon-ping . Ali defeated famous Chinese 6d. 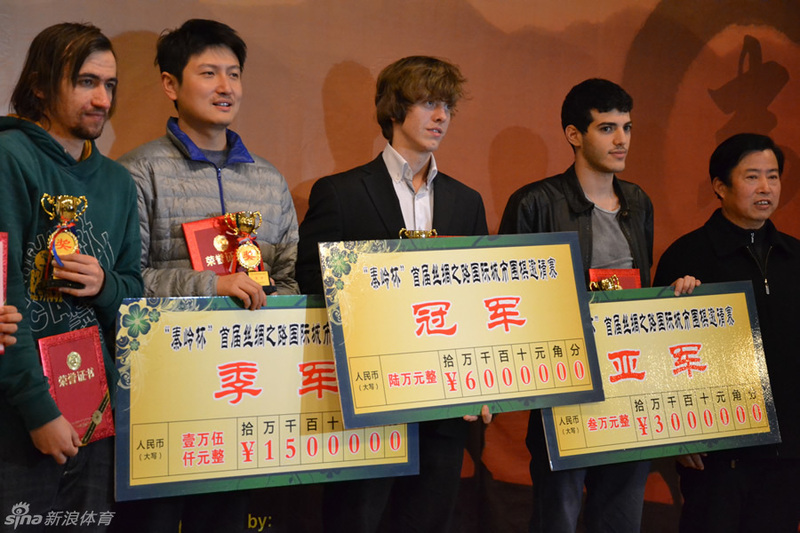 Dusan lost to Ke Yang 6d (champion of Lanzhou). Lukas defeated 5d (champion of Huxian). 4th round: Pavol defeated Liu Gang 6d (champion of Urumqi). Ali defeated Andrij by time. Lukas defeated Jan by 11,5. Dusan lost to Xi Yue . 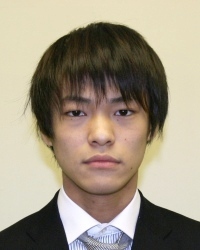 5th round: Ali defeated Ke Yang 6d (champion of Lanzhou). Pavol defeated 6d (other champion of Urumqi), Lukas defeated Vorawat Tanapatsopol by 5,5. Andrij defeated Srisin Chotikapong . Dusan defeated Teng Boon-ping . 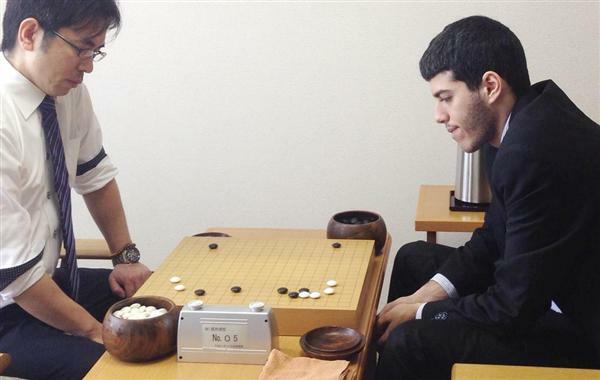 Jan defeated Chinese 5d by 0,5. 6th round: in grand final Pavol defeated Ali by resignation, Andrij lost to Krit Jamkachornkiat by 7,5. Lukas defeated Ma Qun 6d (champion of Dunhuan). 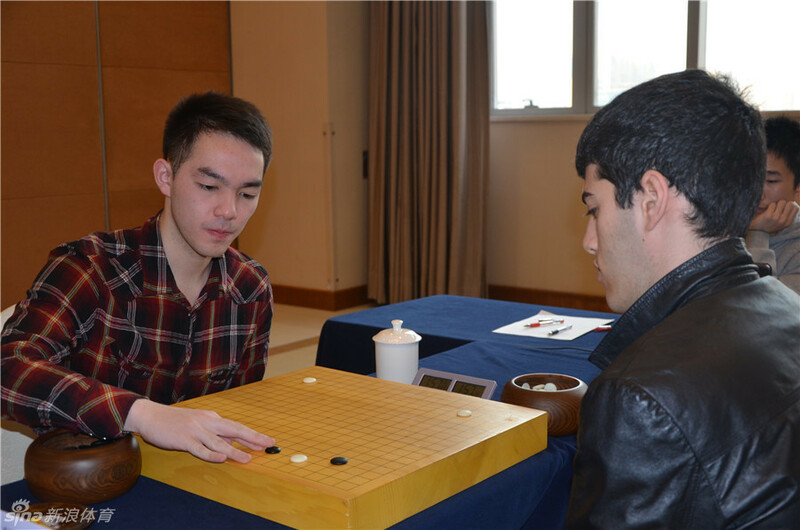 Jan defeated Liu Gang 6d (champion of Urumqi). 7th round: Pavol defeated Lukas by resignation. Ali defeated Liu Xiaochen 6d (champion of Xian). 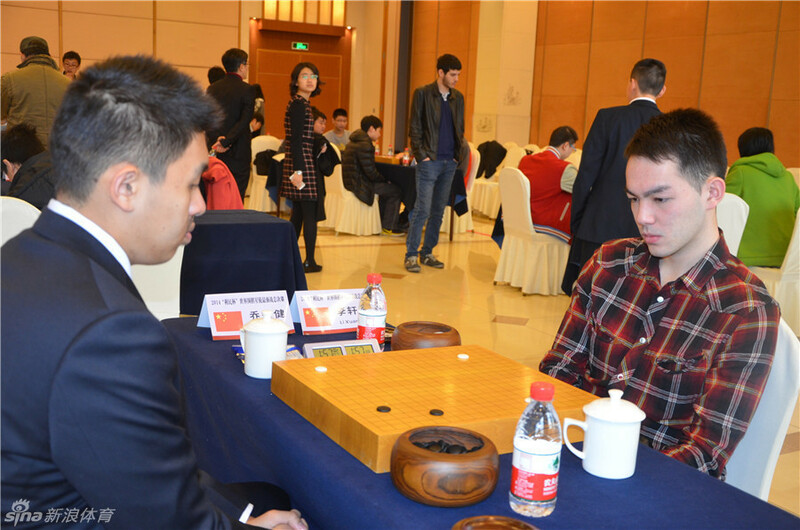 8th round: Pavol defeated Wang Yizhe 6d (champion of Xian). Ali defeated Krit Jamkachornkiat by 0,5. Andrij defeated Jan by resignation. Lukas lost to Ma Qingchuan 6d (champion of Lanzhou). 9th round: Andrij defeated Pavol by resignation. Ali lost to Ma Qingchuan 6d (champion of Lanzhou) by 4,5. Lukas defeated Liu Xiaochen 6d (champion of Xian) by 0,5. Jan defeated Dusan by resignation. Huxian, close to Xian, Shanxi province: 1-3. 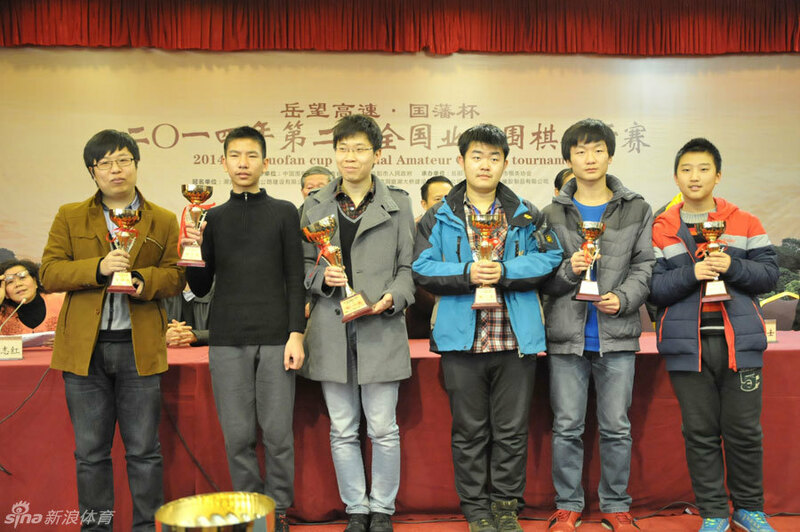 November 2014; 46 players; 9 rounds; 60 minutes without byoyomi; bonus for champion is 60 000 RMB (~7 800 EUR). Invitational tournament which celebrates the silk road. From China only players of the age 25 or older and from Xian to the west can participate. Good news are that Dusan is back and plays. Eric unfortunately can't participate. Fan Hui and Ruslan Dmitriev are also there but not playing. Two europeans profi participated on Sankei Pro-Ama 27.10.2014. Huanggang, close to Wuhan, Hubei province: 17.10.2014 - 21.10.2014; 9 rounds tournament; 102 players; 75 minutes without byoyomi. 100 000 RMB (~13 000 EUR) for the champion. There is "big cycle" tournament (13 rounds) every end of the month which reorder people to groups. This time it was included in Beijing Insei Schools Tournament. 182 participants. Ali 阿 里 131 6 90. Andrij 安德鲁 85 7 75.-79. Dusan 杜 桑 94 7 84.-86. Jan 杨 扬 42 6 111.-112. Lukas 卢卡斯 4 8 47.-50. 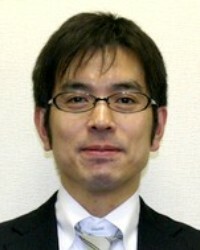 Pavol 帕沃尔 132 8 33.-34. Ali 阿 里 25 6 60. Andrij 安德鲁 29 6 56.-58. Dusan 杜 桑 30 6 79. Jan 杨 扬 23 7 61.-63. Lukas 卢卡斯 47 5 96.-98. 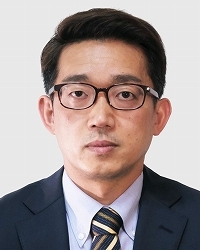 Pavol 帕沃尔 88 7 41.-44. 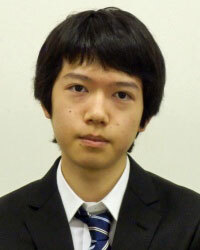 Included in the New Year's tournament. 214 participants. Ali 阿 里 97 7 93.-98. Andrij 安德鲁 48 9 28. Dusan 杜 桑 133 7 103.-106. Jan 杨 扬 204 7 90.-92. Lukas 卢卡斯 166 7 109.-110. Pavol 帕沃尔 176 9 29.-31. This section is intended to give an indication of the strengths of the Chinese opponents that the Europeans are facing. Please note that the Chinese pro exam (for males U25 as of 2014) consists of a qualifying round (~400 players), a final round (~130 players) and the eventual crowning of 20 news pros. In the above table, "Final" implies qualified for final but eliminated before end, "Quali" implies eliminated in qualifying round, and "xxth" is end position in the final round.